From in-display fingerprint sensors to pop out cameras, Vivo has been on a roll this year. 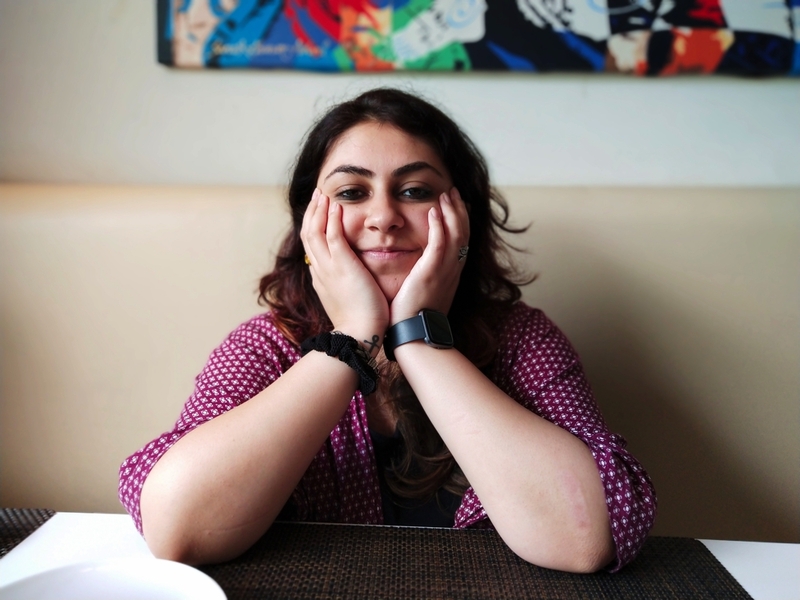 Where most brands have worked on bringing down prices or rolling out iterative updates, Vivo has genuinely pushed the game forward. With the Vivo V11 Pro, we’re seeing a mix of both. A gorgeous design ID paired with some very futuristic features at an attractive price. Sounds too good to be true? Read on to find out. 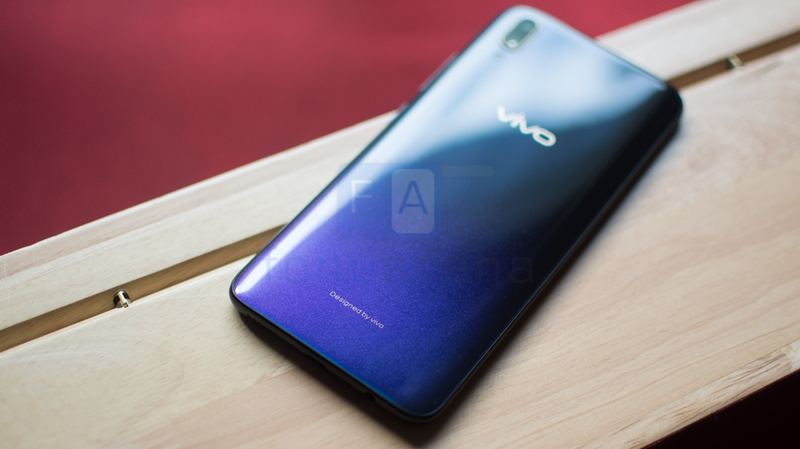 If there’s one brand that has really surprised us with their focus on design, it has to be Vivo. Gone are the iPhone derivatives. With the V11 Pro, the company has done a fantastic job both at the front and back of the device. We have no qualms in admitting that the V11 Pro handily beats its principle competitors, the Asus Zenfone 5Z and the POCO F1, when it comes to design. The front of the phone employs the latest in notch tech. Okay, that’s probably not a term but it sure is a valid description. The notch is now just a tiny little droplet in the screen to house the camera module. Until we figure out a way to hide a camera behind the screen or use a slider module, this is the best that you’re going to get. The chin at the bottom too has been slimmed down further. With a screen to body ratio of 91.27%, I’m convinced that this is as good as it gets till we see a major breakthrough in smartphone tech. The right side has the volume button as well as a power button. The tactile feedback is fine. Not the best we’ve seen lately but there’s no issue with it either. The left side houses dedicated Dual SIM card slots as well as a microSD card slot. The bottom edge has a 3.5mm audio jack and… wait for it, a microUSB port. Yeah, we were just as shocked as you. I’m a big proponent of using cases on smartphones. These are expensive devices that scratch easily and should be protected. 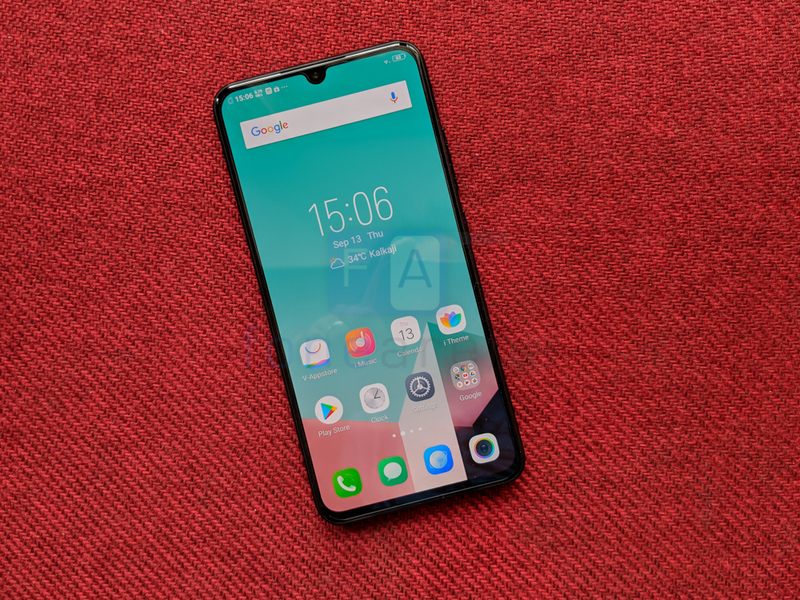 The Vivo V11 Pro was the first in a long time that made me reconsider. The company has done an absolutely amazing job here. Inspired by Van Gogh’s Starry Night, the finish has a gradient that goes from midnight blue to a deep black. Instead of a linear color fade, the use of a powder coating like effect really makes it stand out. Our only gripe here is that the back panel and for that matter, the entire construction is plastic. Now, we don’t have too many issues with a plastic build and found it to be fairly rugged on the POCO F1. The V11 Pro however has a very glossy and design heavy build. The glossy plastic picks up scratches, scuffs and smudges and will likely not hold up too well over time. There’s a case in the box and you’d be well served by using it. Vivo has been on the forefront of in-display fingerprint unlock technology. Making leaps forward with every single iteration, the tech is getting close to being as good as a standard fingerprint reader. You can have it set to always one and a hard press on the screen quickly unlocks the phone. Do note, you’ll have to press down harder than usual instead of the light tap you might be used to on rear mounted fingerprint readers. 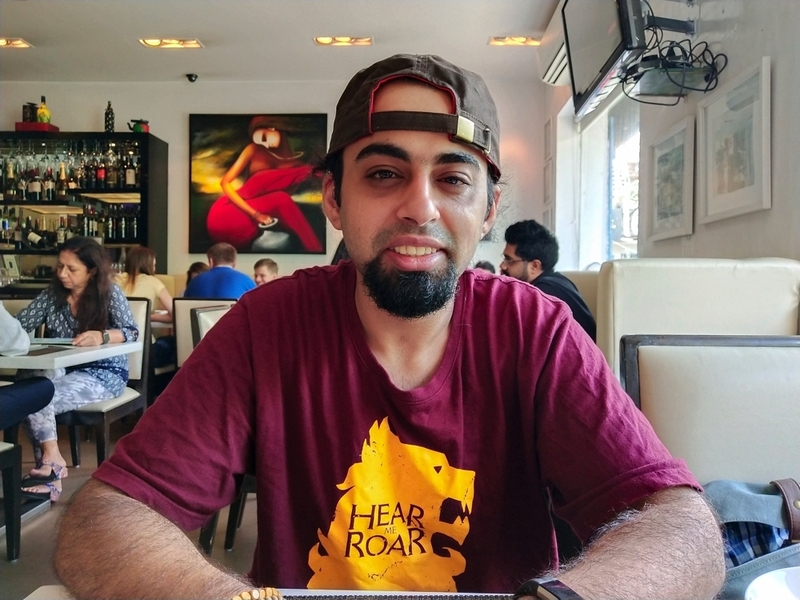 Meanwhile, Vivo’s implementation of Face Unlock works extremely well. Somehow, the company has managed to fit an IR LED within that tiny frame and using that, the phone is able to recognise your face even in complete darkness. 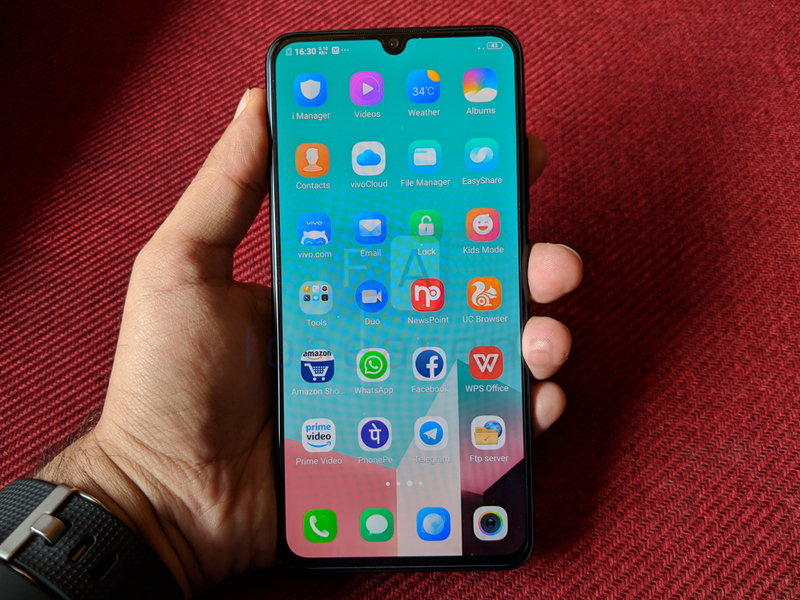 The software on the Vivo V11 Pro is a mishmash of iOS and Android. The main interface paradigm is heavily inspired by the iPhone style of doing things but with the added capabilities that come with using Android. The home page is a list of icons and widgets. You can make folders here and there is no secondary app drawer. Swipe to the left and you’ll get access to a shelf feature where you can get access to some shortcuts, weather, to do items and more. A search bar lies at the top. Funtouch OS ie Vivo’s take on Android, breaks the notifications shade and quick access toggles into two separate areas. The former can be pulled down from the top as always while swiping up from the bottle reveals quick access toggles as well as sliders for brightness and volume. Recently accessed apps can also be swiped around here. Vivo has built on a whole bunch of ‘Smart’ features, some of which are more useful than the others. 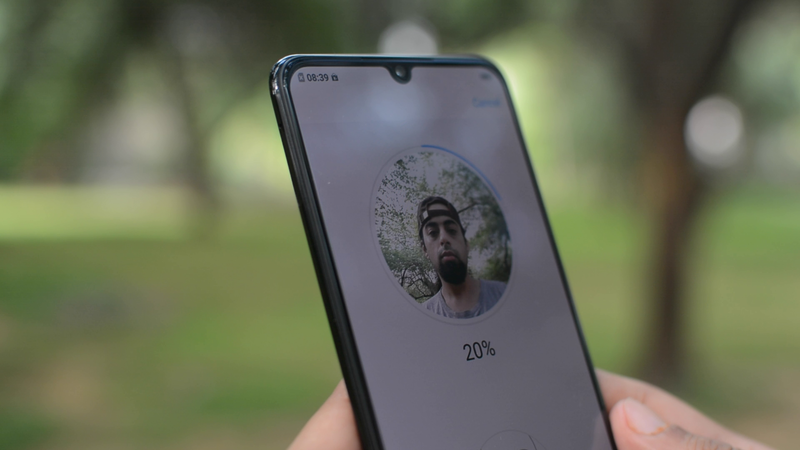 We particularly liked the ‘Keep Bright’ function where the phone uses the front camera to make sure that the phone’s display stays lit as long as you’re looking at it. Now, this isn’t really an innovative new feature but it’s the little additions that make daily use of a phone that much more enjoyable. Let’s be honest. We don’t like it when smartphones break from the clean stock Android UI paradigm. Funtouch is a huge departure from how stock Android works, and we’re not huge fans of it. That said, you do end up getting used to it, and we can appreciate that it is very approachable to first time smartphone buyers or for anyone who just wants to get work done on their phone without diving deep into settings. The phone supports full screen gestures as well, and we found the implementation to be quite intuitive. Sporting a Snapdragon 660 processor, a lot of parallels will be drawn with the POCO F1 that gives you a higher end processor at a lower cost. 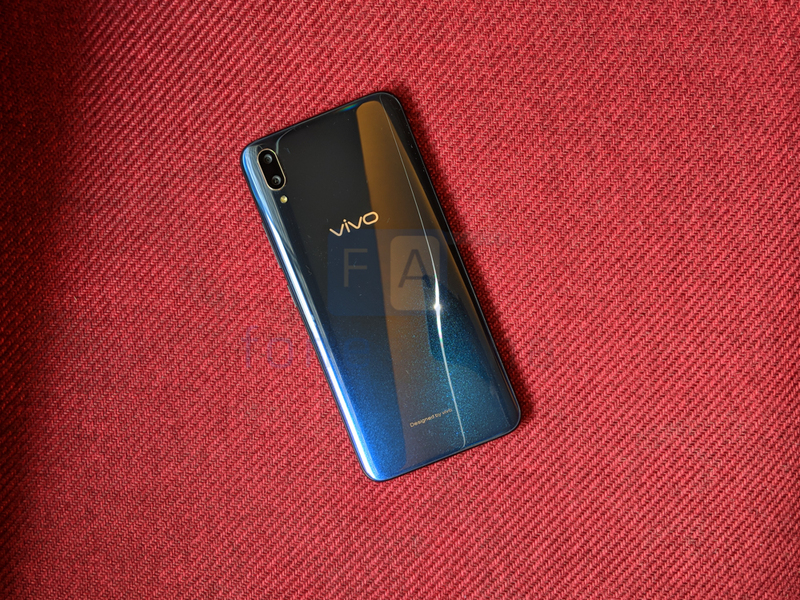 A phone is however a sum of all its parts and we wouldn’t discount the Vivo V11 Pro just on that basis. Performance is fine. For everyday use, the Snapdragon 660 is perfectly adequate and you won’t miss having a more powerful device. If you’re a heavy mobile gamer, the added raw power of the POCO F1 makes sense but for everyone else, the 660 should be more than sufficient. 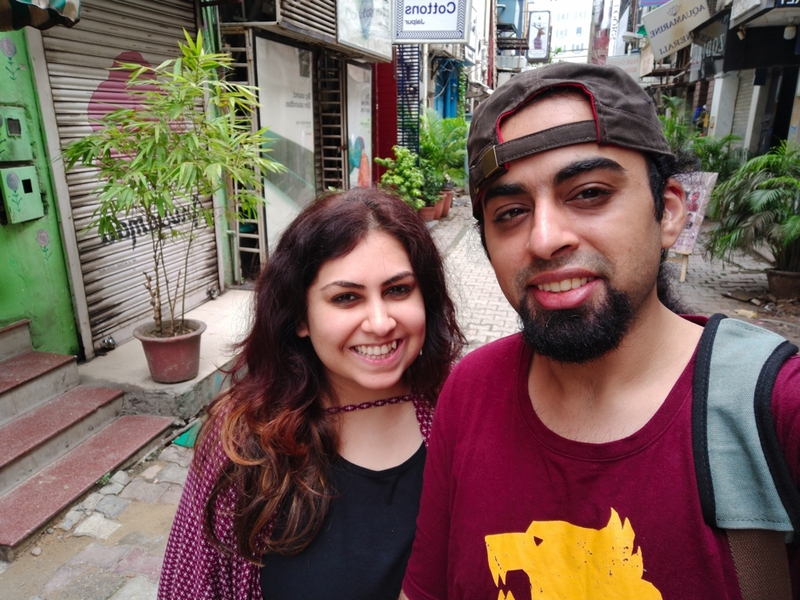 We tried playing PUBG on the Vivo V11 Pro and outside my personal lack of skill at the game, the experience was fine. The game runs well at the medium graphics setting but generally there were no frame drops. If you want the absolute best PUBG performance, look at the POCO F1 or the Zenfone 5Z and OnePlus 6. Anyways, with 6GB of RAM onboard, multitasking ability isn’t a concern. 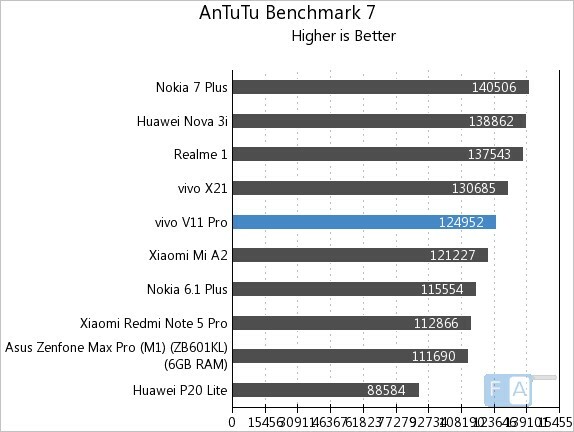 In the AnTuTu 7 Benchmark, the V11 Pro manages 124952 points placing in the middle of the test bench. 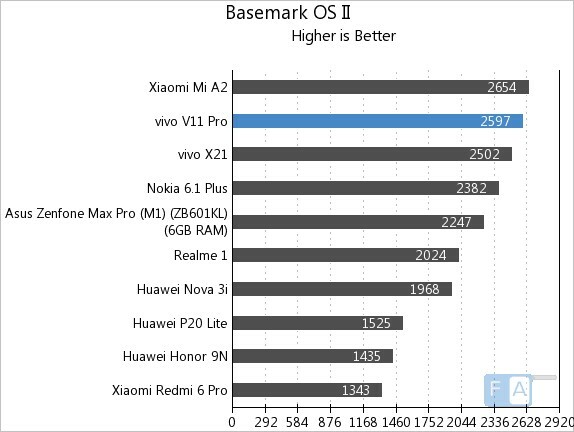 Basemark OS II performance was better with 2597 points as opposed to 2654 by the stock Android running Mi A2. 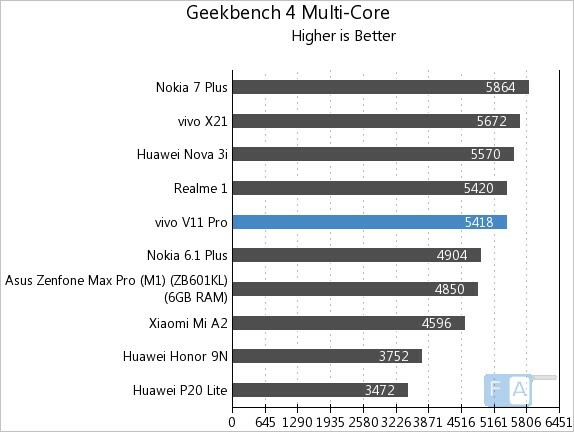 In Geekbench 4 Multicore, the phone scores 5418 points. 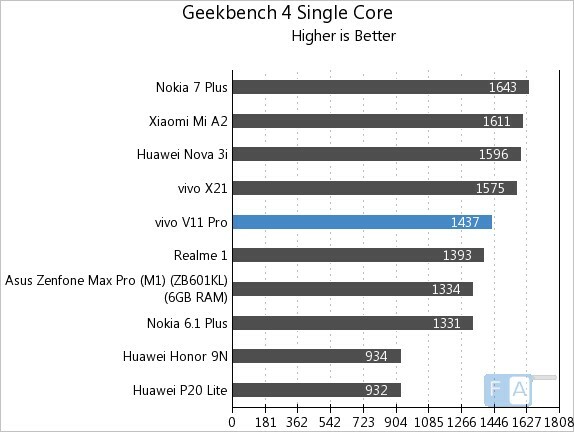 Meanwhile in the single core Geekbench 4, the phone managed 1437 points. The screen on the Vivo V11 Pro is a thing of beauty. It is hard to put in words the experience of having such a wide and expansive screen to work on. Minimal bezels and just the screen. 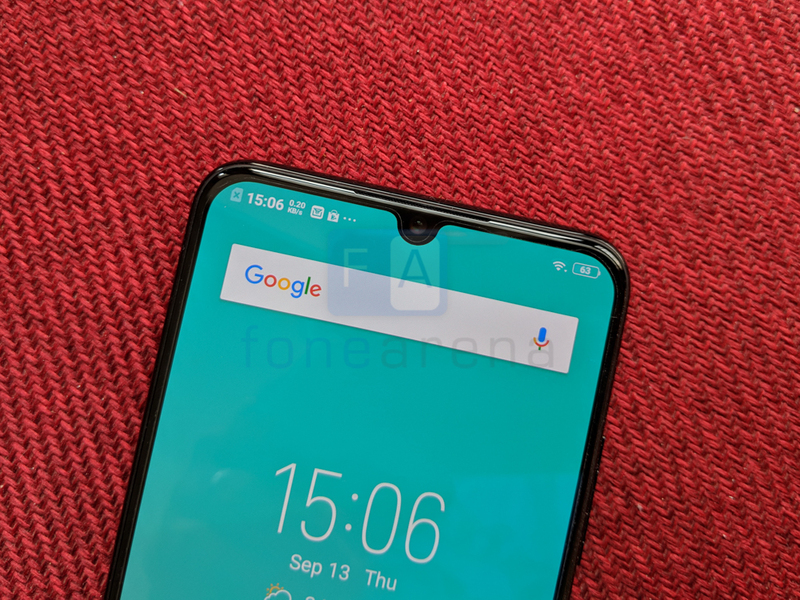 The tiny notch does not get in the way and we had no issues with it. 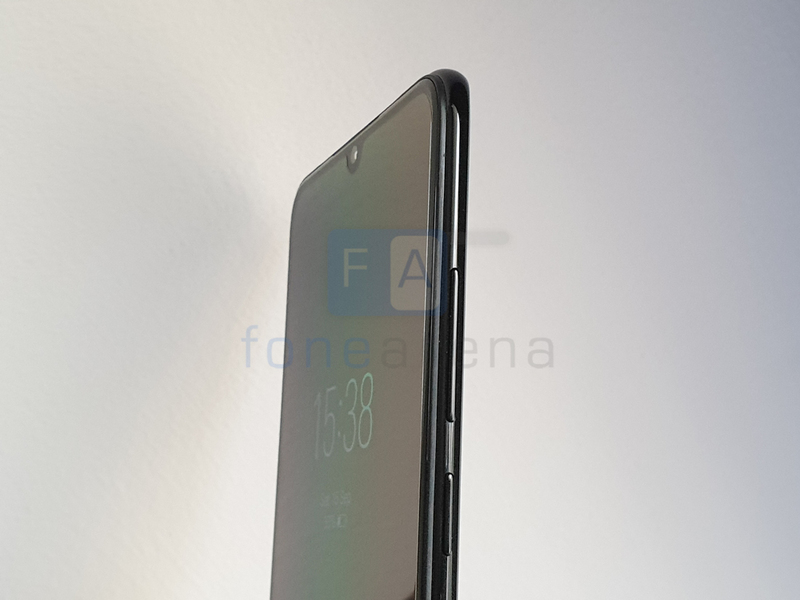 Somehow, Vivo managed to squeeze in an IR light into the top right corner of the phone without adding a bigger notch or larger bezel. Coming back to the screen itself, this is a 6.41″ panel with a 19.5:9 aspect ratio. It sounds huge on paper but since the bezels are negligible, the phone isn’t that much larger than your average large screen device. There’s Gorilla Glass 3 on top. The resolution is 1080 x 2340 pixels making it a Full HD+ panel. Using a Super AMOLED screen means, the display is exceedingly vibrant and contrast rich. It also goes pretty damn bright. 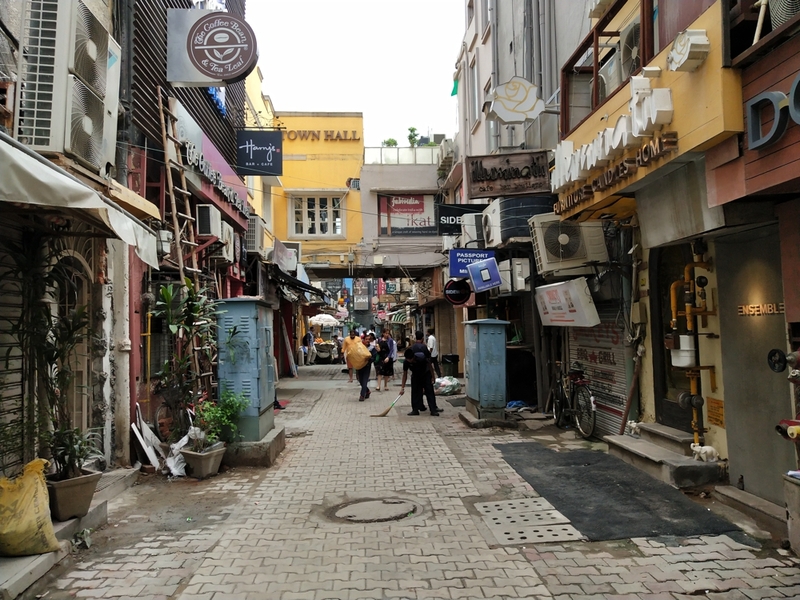 It’s been quite cloudy lately in Delhi but we took the phone out whenever the sun came out and had no issues with viewing it outdoors. The viewing angles are predictably excellent and while the colors are a bit oversaturated, the media loving audience won’t have any issues with it. You can adjust color temperature levels but not the saturation. The camera on the Vivo V11 Pro is great for a very specific audience. Like most modern phones, the phone has a dual camera module at the back. Equipped with Dual Pixel technology and an f/1.8 aperture lens on the primary sensor. Want to know what’s dual pixel tech? We’ve already covered in another article. The primary sensor is aided by a 5MP camera to improve low light shots as well as to enable portrait mode. Over at the front is a crazy 25MP front facing camera. Vivo has really stepped up their game in the camera department. Photos generally look pretty good. Dynamic range is also reasonably good. The highlights did get blown out just a little bit in this shot but there’s abundant details and the colors are accurate. In certain shots, the image processing has a tendency to go a bit overboard. 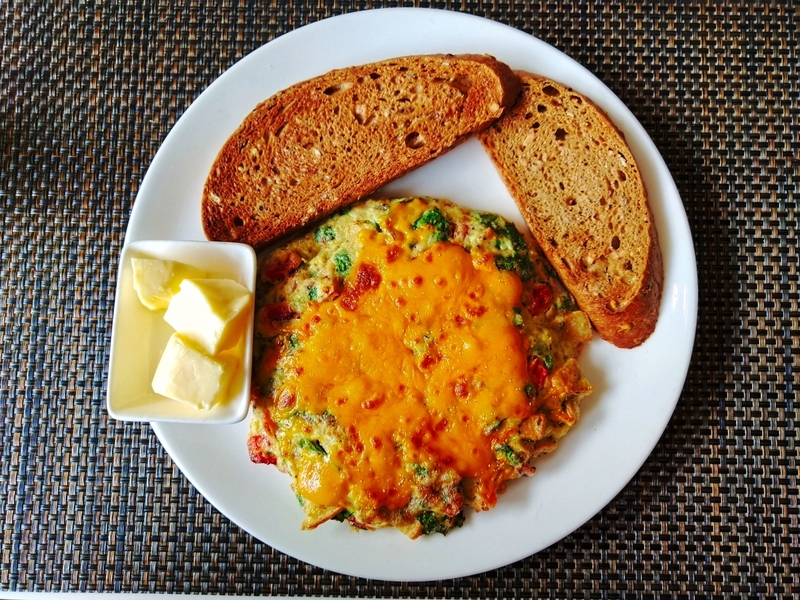 Case in point, the image above is just a bit too warm giving the omelette a dark yellow-orange cast. For the most part though, the camera does a great job of focussing on the subject and capturing sharp, good looking images. The portrait mode did a decent job of edge detection. Unfortunately, using the portrait mode added a slight softness to the shots. I’m not sure who needs a 25MP camera to capture selfies but hey, as long as the light is good, it does take some great looking selfies. Imaging performance isn’t that great in less than ideal conditions and the lack of OIS doesn’t do the phone any favours but for the most part, you’re likely to be satisfied with the shots from the phone.With the latest update, the V11 Pro gains the ability to capture 4K video, and we found the footage to be crisp. The Vivo V11 Pro supports 4G VoLTE connectivity on both SIM card slots. There’s Wi-Fi 802.11ac support as well as Bluetooth 5.0 and GPS of course. Network performance was above average but not the best in the category. The phone struggled to hold on to a signal in a low network environment. Calls though were clear through and through, and we had no complaints. In terms of storage, you’ll get 51GB out of the onboard 64GB of storage. Yes, Funtouch OS is a pretty hefty ROM. You can expand this via the dedicated memory card slot. The 3400 mAh battery is generally good enough for a full day of use. The Snapdragon 660 is fairly frugal when it comes to power consumption and an AMOLED screen, with the right wallpaper, can also contribute to improved battery life. Switching on the always on display and in-screen fingerprint reader takes a swipe at battery life and knocks off a couple of hours of standby time. The focus on design means that the company could not install a larger battery. That said, the phone does support dual engine fast charging. What’s that? Think of it like OnePlus’ Dash Charging without the fancy name. The phone ships with a fast charger that gives you a 50% charge in just over 30 minutes. Priced at Rs. 25,990; the Vivo V11 Pro is a great option for anyone wanting a good-looking daily driver. Something that is reliable, takes decent photos and is a great communications & social media device. It won’t suit the performance audience, the Poco F1 has that covered, and if you can stretch your budget a little more, the Asus Zenfone 5Z is an obvious improvement. At its price point though, you can’t go wrong with the Vivo V11 Pro.